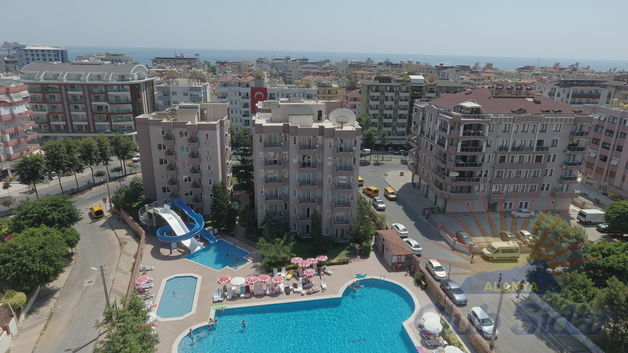 Our hotel is located 10min of walking distance from city center and 300m to the famous Cleopatra Beach of Alanya. 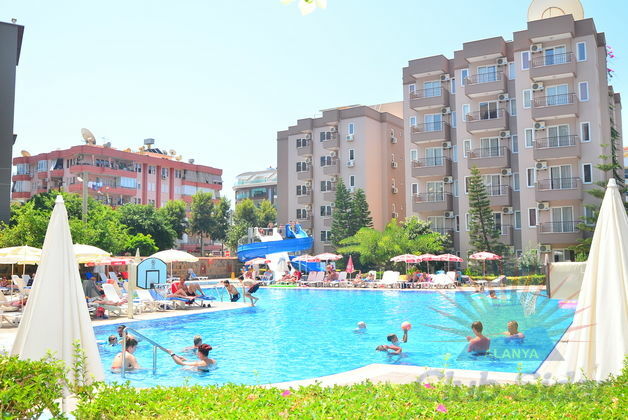 Club Sidar has 158 suit, 6 family and 8 standard rooms. Total capacity of our hotel is 530 persons. 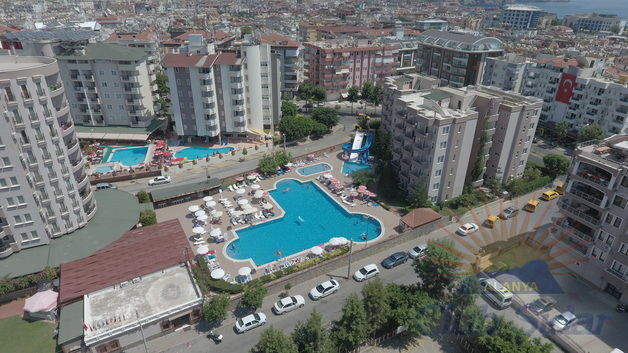 In Club Sidar, you can find market, unisex hairdresser, souvenirs shop, jewelers shop, Turkish bath, massage rooms, conference hall, billiards, table tennis, laundry, TV hall, doctor, beach volley, water basketball, aqua park and mini club.